Add a touch of romance to your home decorator with this meticulously crafted Kissing couple figurine. 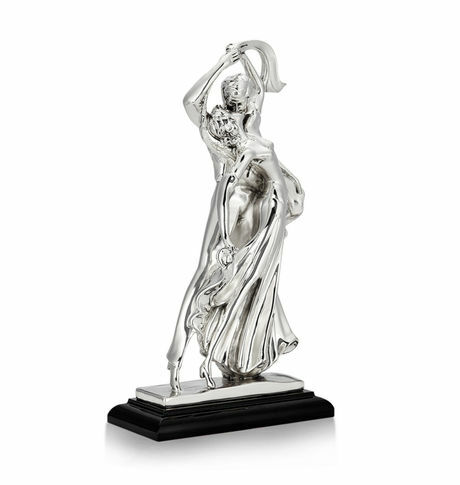 It is an exquisite and spectacular piece of art in electroformed silver on a base. 18 x 29H. Add a touch of romance to your home decorator with this meticulously crafted Kissing couple figurine. It is an exquisite and spectacular piece of art in electroformed silver on a base. 18 x 29H. Cancellation and Return Policy: • Exchange allowed post booking • No order cancellation or Refund transaction allowed at the store.